Kukri carried by soldiers in combat to camouflage from the eyes of enemies; a dependent warfare knife.. 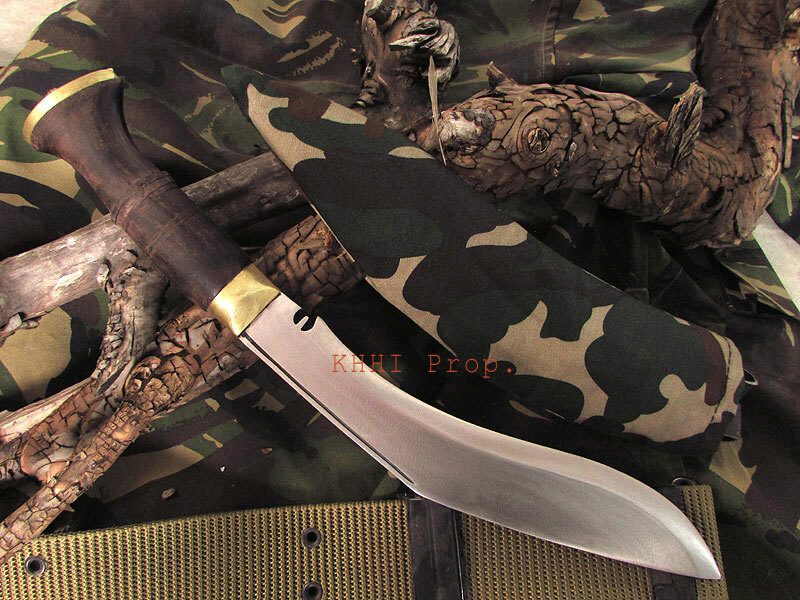 This Kukri is named so due to its important feature where the scabbard is camouflaged by Nepal Army's official camouflage fabric and the blade especially made for rough use. 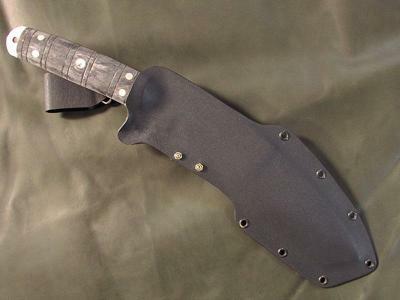 Also a loop to hold the kukri firmly in the user’s thigh to prevent from wobbling while in motion is also fixed in the front back portion of the sheath which comes as an added feature of the knife. All these special characteristics in both, the scabbard, to hide away from enemy’s vision and get mould with the terrain in the best possible way, and the blade, designed for rough hard use have made this kukri stand out amongst it siblings. It is mostly famous with jungle, trekkers, hunters and safari goers. It is also carried by soldiers in combat to camouflage themselves from the eyes of enemies. 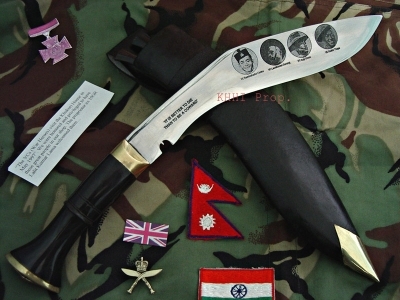 It is a typical unpolished all-purpose utility knife that is also used as a domestic tool in Nepal. Although the whole knife has (blade+handle+brass fixtures) full unpolished finishing the surface is very smooth and well balanced. The kukri blade is more durable as it skips the long machinery process and hence the original heat treatment is well preserved. 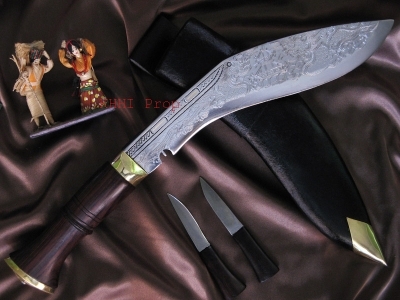 Unlike other traditional kukris, the two small knives (Karda and Chakmak) are completely discarded to make the kukri as light as possible to carry around. Size of blade: 10 inch approx.